Picking out the right food for your dog is an important task. While we don't believe there's one single best food out there (some dogs thrive on foods that make other dogs sick), we do think some brands are just better than others. Your cheap, bottom-of-the-line dog foods are often packed with fillers and therefore don't hold much nutritional weight. That's why we're bringing you these dog food reviews: to help you find a quality brand that's going to suit you and your dog. Today we're looking at Earthborn, a "holistic" dog food brand that claims to promote all-round health and well-being. But, is this brand all that it claims to be? 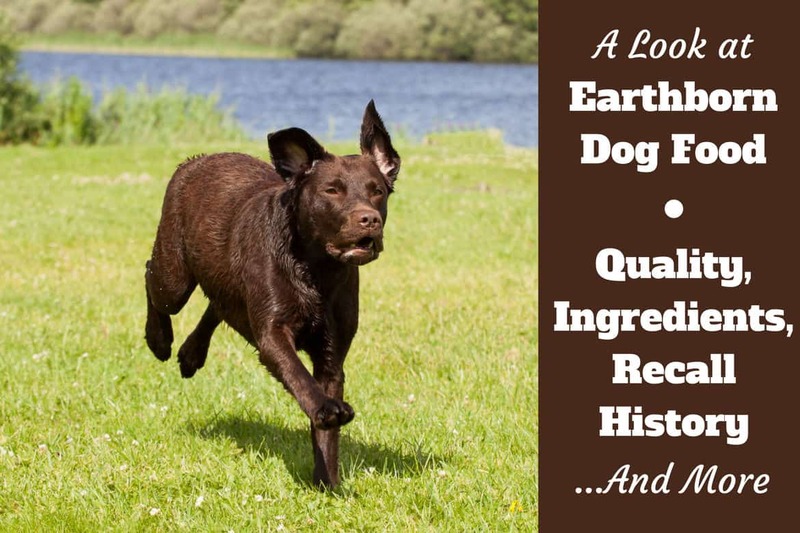 Read on where we give you all the facts in our look at Earthborn dog food reviews, quality of ingredients and recall history. Who Makes Earthborn Dog Food and Where is it Made? What Dogs Is Earthborn Suited to? Earthborn -- aka Earthborn Holistic -- claims to have a holistic approach to pet food. In short, this means the company believes nutrition is intrinsically linked to the general health and well-being of your dog. As such, it makes foods it thinks will promote health. Every ingredient has a purpose and nothing is filler. From what we can tell, Earthborn prides itself on choosing quality ingredients, so we'd certainly class it as a premium brand. Its whole unique selling point is based around its healthfulness. Therefore we agree -- on the whole -- this is a healthy brand. On the company's website, you'll find lots of info on its eco-friendly leanings, which many may find a bonus! While it's not the cheapest on the market, we think it offers reasonable value for money, considering its quality. Even a cursory glance around the web will tell you others agree Earthborn is a top-notch dog food brand. Experts tend to rate this food highly, as do existing customers, which is highly encouraging. There's no doubt we'd recommend this brand for the majority of dogs. That's not to say it's the only good dog food out there, but it's definitely somewhere among the top contenders. In this section, we're going to take a closer look at some of Earthborn's most popular formulas and consider their pros and cons. Some people see this as the gold standard of all Earthborn's foods, with Dog Food Advisor giving it a full five stars in their review. This is a grain-free formula with impressive amounts of protein coming from chicken meal, turkey meal and whitefish meal. Plus it contains an excellent balance of vitamins and minerals from plant sources, as well as from added supplements. High in protein and fat, this is great for active dogs but might not suit very canine out there so think about your dog's activity levels before choosing this formula. This food is high in protein and has a decent meat content. A well-balanced food with high-quality ingredients. It's both gluten free and grain free, which may benefit dogs with sensitive stomachs or allergies. The levels of protein and fat might be slightly high for less active dogs. Another offering from Earthborn's grain free line, Great Plains Feast gets the majority of its protein from bison and lamb meal. That said, it also contains a decent amount of peas and pea protein, which are great plant-based sources of protein. 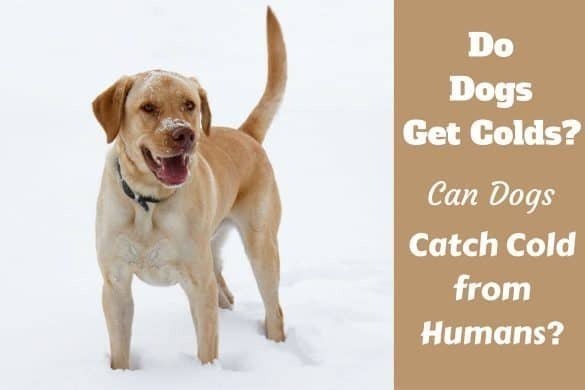 This is also a highly rated food, but it contains slightly less fat and protein than the Primitive Natural recipe, so it may be appropriate for a wider range of dogs. It contains excellent quality fresh ingredients, plus probiotics and chelated vitamins and minerals, all to keep your dog in prime condition. Average fat and protein levels mean this food is suited to the majority of adult dogs, not just highly active ones. Every ingredient is carefully selected to be of use to your dog so nothing is filler. Most owners report that it's highly palatable, and even fussy eaters wolf it down. According to customer feedback, some owners have reported this food giving their dogs sickness or diarrhea, but this is only a handful of cases so it may just be the food didn't suit those particular dogs or there may have been other factors at work. This food is specially designed to give a growing puppy everything they need to get big and strong. The protein comes from chicken meal and whitefish meal, whereas the carbohydrates come from a blend of sweet potatoes, barley, brown rice and oatmeal, all of which are easy on delicate stomachs. Owners love the quality ingredients in this food and the fact it's enriched with all the vitamins and minerals your pup needs. This food is perfectly balanced to meet the nutritional requirements of most puppies (but not all -- more on that later). Contains quality fresh ingredients, in addition to chelated vitamins and minerals which are easy to absorb. It features a variety of complex carbohydrates which are both nutritious and easy on the stomach. Puppy Vantage may not be suitable for large breed puppies, because their slower growth calls for a different approach to nutrition. 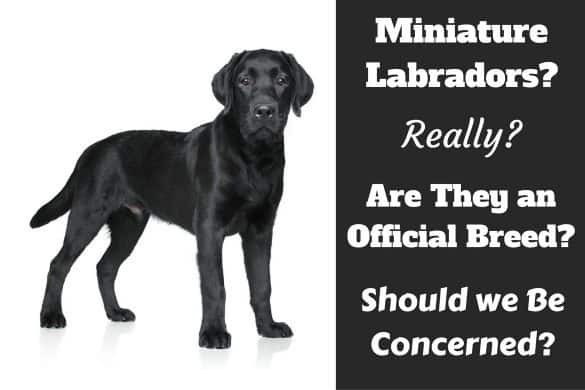 If you're unsure whether your pup counts as a large breed, nutritionally speaking, contact your vet. Earthborn Holistic is owned by a parent company called Midwestern Pet Foods. Although Midwestern Pet Foods produces a couple of other dog food brands -- namely ProPac and Sportmix -- it's in no way a corporate giant, which may be a big plus for some dog owners. Based in Evansville, Indiana, USA, Midwestern Pet Foods has been a family owned company for four generations. The manufacturing of Earthborn dry foods takes place in Monmouth, Illinois. Take a look at this video from Earthborn to get a high-level summary on the foods they offer, as well as customer testimonials. Let's look at the first ten ingredients contained in Earthborn Holistic Primitive Natural. Turkey meal. This is essentially a meat concentrate. Although it could be considered less beneficial than fresh meat, in a dried food, you need a lot of fresh meat to get a decent protein content because it contains a lot of water, which is removed during processing. Chicken meal. Like turkey meal, this is a meat concentrate, which means it has a high protein content. Whitefish meal. Again, this is a high protein concentrate, but this time with fish rather than meat. Fish has many benefits for dogs since it's low in fat but high in Omega 3 fatty acids. Potatoes. These are an excellent source of carbohydrates in a grain free food. While some people see white potatoes as fairly devoid of nutritional value, you might be surprised to know they're a good source nutrients such as vitamins B6 and C, potassium, copper, manganese and more. Chicken fat. It might sound like a filler, but chicken fat is packed with Omega 6 fatty acids and linoleic acid and is considered a quality ingredient in dog food. Dried egg product. Egg is an excellent source of easily digestible protein. However, some dried egg product can be of low quality, and it may come from caged battery hens. Tomato pomace. This is a product made from the skin, pulp and seeds left over from juicing for making ketchup, soups, tomato pastes and so on. Some people see this as a filler, but it's a great source of soluble fiber and may contain good levels of antioxidants. Apples. This is a great source of soluble and insoluble fiber, as well as vitamin C.
Blueberries. These tiny berries pack a nutritional punch. They're full of fiber, vitamins C and K, antioxidants, and more. Carrots. Carrots are packed full of vitamin A, but they also contain good levels of fiber and countless other vitamins and mineral. Any ingredients outside the top 10 are unlikely to make much difference, although there are a few exceptions. The dried fermentation products are probiotics, which are designed to aid digestion and maintain healthy gut flora. This food also contains chelated vitamins and minerals, which will help make sure it's properly balanced and contains everything your dog needs to stay healthy. The FDA hasn't reported a single recall throughout the whole history of Earthborn Holistic. We think this is an excellent sign and shows the company really puts thought into how it sources its ingredients and makes hygiene and food safety a priority. 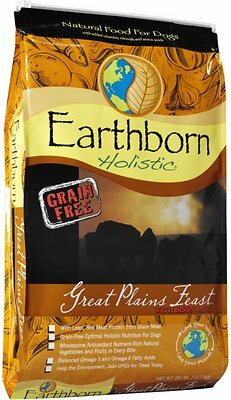 Earthborn Holistic offers two dry food product lines: its Holistic line which is free from corn, wheat and soy, and its Grain Free Holistic line. The Holistic line contains adult, puppy and small breed formulas. The Grain Free Holistic line contains large breed and weight control formulas, alongside those made for healthy adult dogs. Bags of Earthborn Holistic come in three sizes: 5 Pounds, 14 pounds and 28 pounds. The important thing to take away about dog foods is that even the highest quality brands aren't going to suit every individual. These are some of the dogs Earthborn is suited to. Healthy adult dogs. The majority of these foods will be perfectly suited to your average healthy adult dog. Small breeds. The Small Breed recipe dog food is ideal to suit the nutritional needs of a small breed dog. Large breeds. The Large Breed recipe dog food is ideal to suit the nutritional needs of a large breed dog. Puppies. Look out for the Puppy Vantage recipe, because this contains all the right nutrients to help a puppy grow. Dogs with allergies. Dogs with grain allergies will do well on any of the grain free formulas. Athletic or working dogs. Earthborn's Primitive Natural recipe contains fairly high levels of protein and healthy fats, both of which will be beneficial to an athletic or working dog. Overweight dogs. The Weight Control formula is lower in calories than your average kibble and will help with weight loss. Is Merrick Dog Food Any Good? While Earthborn Holistic is great for most dogs, there are some canines we'd recommend a different brand for. Large breed puppies. Large breed puppies grow much slower than smaller pups. 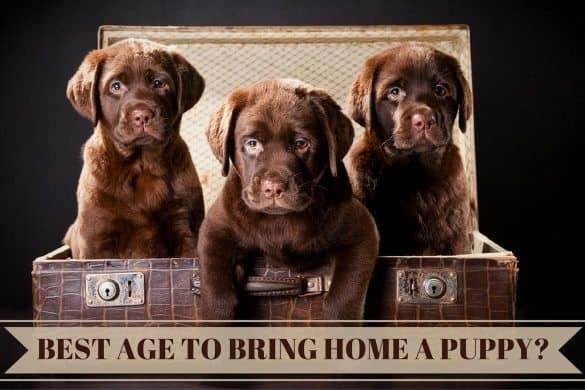 Therefore a specific large breed puppy formula can help them mature at the correct rate and potentially avoid joint problems when fully grown. Senior dogs. 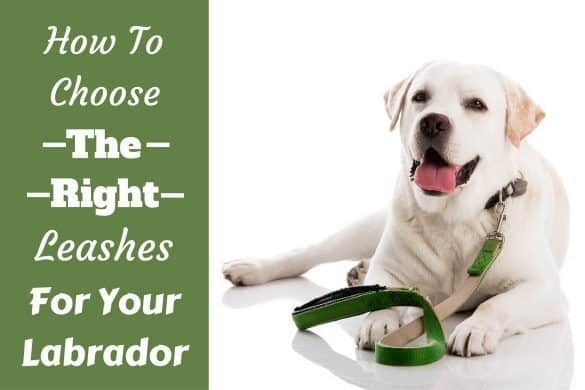 Earthborn doesn't have a formula made specifically for senior dogs, who have slightly different nutritional needs compared to their younger counterparts and may put on weight too easily. We're not the only site discussing dog nutrition out there, so we've scoured the web to see what other people think of Earthborn's dry foods. 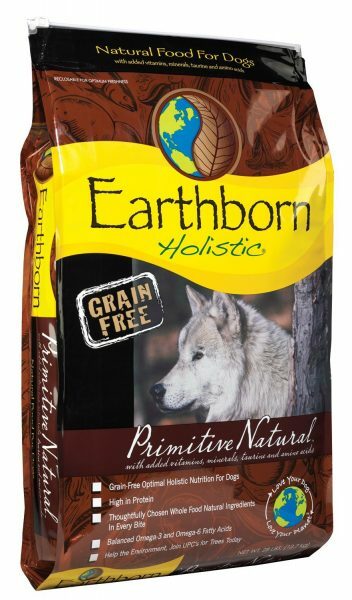 Overall, Dog Food Advisor seems to consider Earthborn Holistic a good quality premium brand with many good formulas. The company's Grain Free Holistic line was given an overall score of 4.5 out of 5. However, the Primitive Natural recipe was singled out as exceptional and therefore given its own 5 star review. Its Holistic line didn't fair quite as well. It received a respectable 4 out of 5 overall, but the Small Breed and Puppy Vantage led the way with 4.5 stars a piece, whereas the Adult Vantage and Ocean Fusion formulas both received just 3.5 stars. 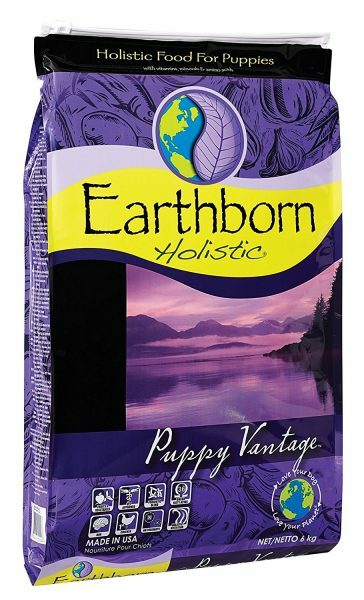 Earthborn Holistic also received a favorable review from the folks at Dog Food Guru. It was hailed as a high-quality brand from a trustworthy manufacturer. Overall, it was rated 9 out of 10, and probably would have scored higher if it wasn't for price and availability. 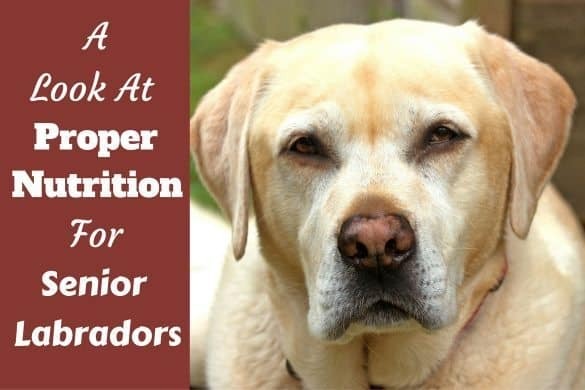 You might not find expert opinions here, but we always like to check out what previous buyers are saying on Amazon, to get feedback from the dog owners who are actually using these foods. Looking at Earthborn's Primitive Natural formula, you can see this is a highly regarded food and you can click here to see the latest amazon reviews and feedback. We've done a lot of research on Earthborn's dry kibbles and now it's time to give you our final opinion and rating. It's fair to say that Earthborn is a premium food. The company is really interested in getting the best quality ingredients and always sources them from the United States when available. It's also an eco-friendly brand run by a company concerned with cutting its carbon footprint and looking after the planet. With so many dog foods owned by highly questionable corporate parent companies, such as Nestle, this is a welcome change of pace. This is certainly a brand we'd recommend to the majority of dog owners, although -- like any food -- it's not going to be the right choice for 100 percent of dogs out there. 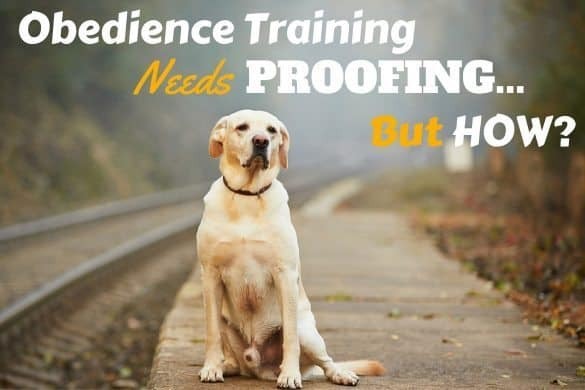 Finding the best brand for your pup can take a little bit of trial and error. While some of the brand's formulas are better than others, even the ones rated less highly are still of a decent quality. Overall, we rate Earthborn Holistic 4.5 out of 5. 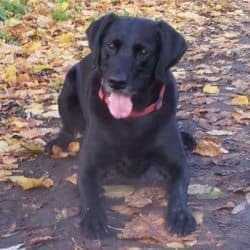 Which food would be good for my 3 yr old lab that has sensitive skin-dry, flaky, itchy, etc.? Loretta, My lab is same way. Fish oil liquid is good. So is Earthborn Coastal Catch. Make sure to buy Grain free due to typical lab allergies. I avoid cornmeal products and poultry as well. Too much bathing can be a problem. Use Dawn clear dishwashing soap for bathing. Avoid oatmeal as it is a grain so it will aggravate not soothe an itchy lab.